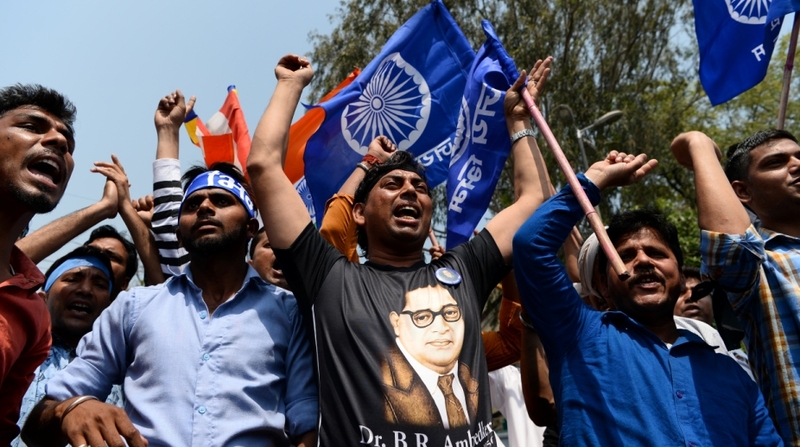 A police constable, allegedly seen with agitators involved in damaging rail tracks during the nationwide protest called by Dalit outfits on April 2, was arrested yesterday evening, a senior police officer said on Monday. The police constable, identified as Vinit Maurya, posted at the Harijan Police Station here, was earlier placed under suspension. Government Railway Police (GRP) station in charge Haricharan Lal on Monday (April 16) said that Maurya was arrested from his residence on Sunday evening. He was sent to jail on the orders of a local court. The district administration also suspended three other government employees for participating in the protests that erupted across the state on April 2. Additional District Magistrate (ADM) S K Mishra said that two assistant teachers, Ramprasad Shankhwar and Babu Singh Dulawat, and health department employee Ravindra Kathuria have been placed under suspension. Departmental inquiries have been initiated against the three, he added. He said that these employees had taken leave from their respective departments on April 2 and had participated in the shutdown. Protests across the country were organised on April 2 against a Supreme Court order of March 20, which agitators claimed diluted certain provisions of the SC/ST (Prevention of Atrocities) Act. Eight people were killed in MP during the protests.